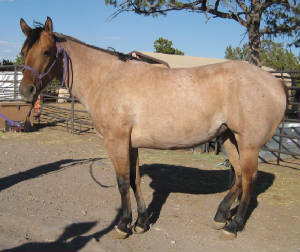 "Nugget" is an 06 Dun filly out of a Buckskin mare. 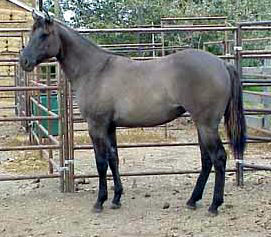 "Sterling" is an 07 Grullo colt out of a Bay mare. 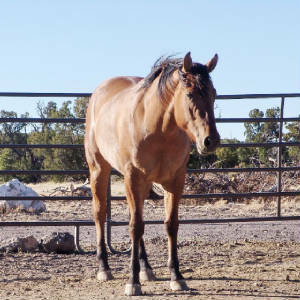 "JJ" is a darling 06 Grullo colt out of a Black mare. 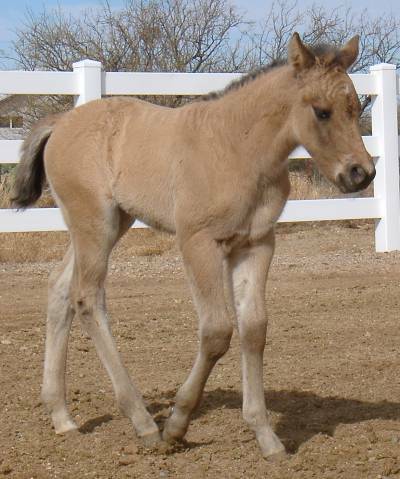 "Dee Dee" is an 07 Dun filly out of our Sorrel mare "Cheyenne". 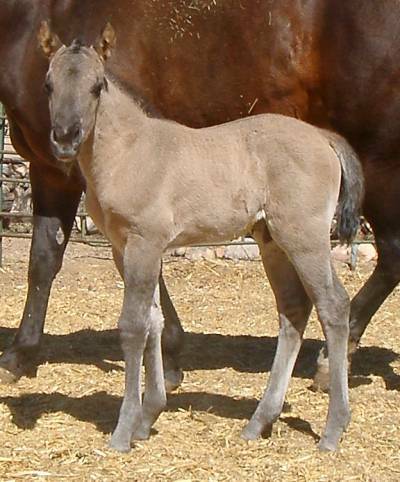 This Grulla filly "Cinder" was foaled by our Perlino mare "Bella" in 2007. "Doce" is an 07 "Dun Roan". Yes really..... 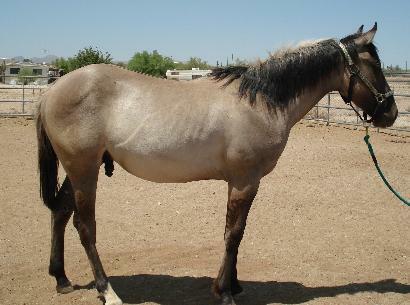 Her base color is Dun with the Roan gene on top. VERY unique!! Top picture is Doce at 3 yers old. 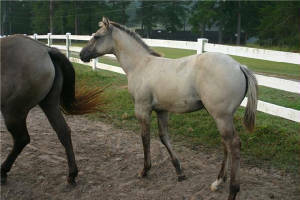 Bottom picture is her as a yearling. 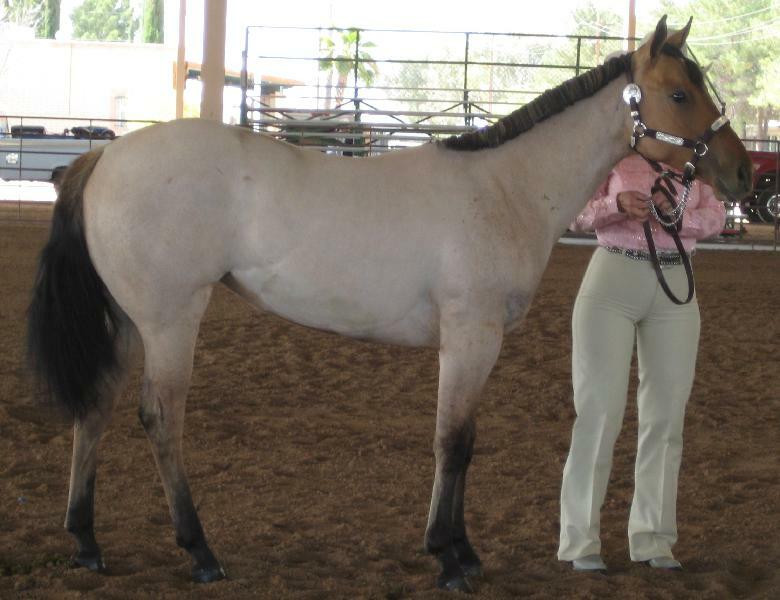 This 06 yearling Dun gelding "Maestro" is out of a Sorrel & White Tobiano mare. 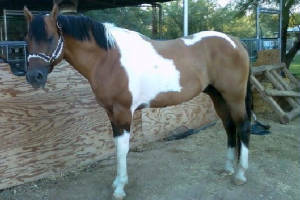 "Cash" is an 07 Tobiano Dun colt out of a BayTobiano mare. Top picture is as a 3 year old. Bottom picture is as a weanling. 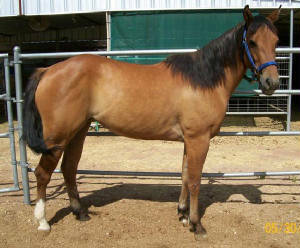 "Jay" Jr. is an 06 yearling Grullo colt with tons of frosting and dun markings. 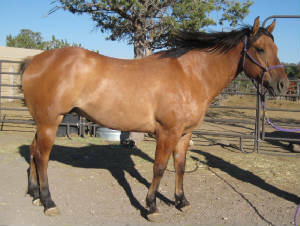 "Levi" is an 07 Dun gelding out of a Bay mare. He is almost a year old in this picture. 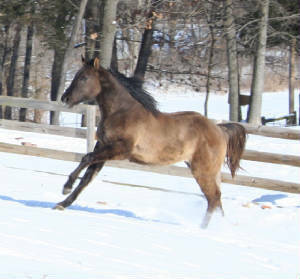 This is one of Jay's older grullo's - "Banjo". 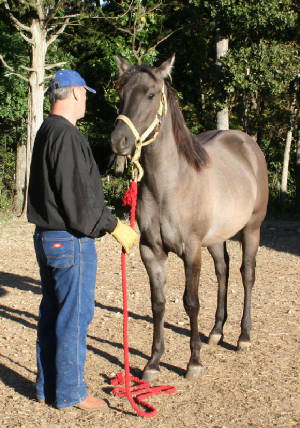 This is one of Jay's older Grulla babies as a yearling. 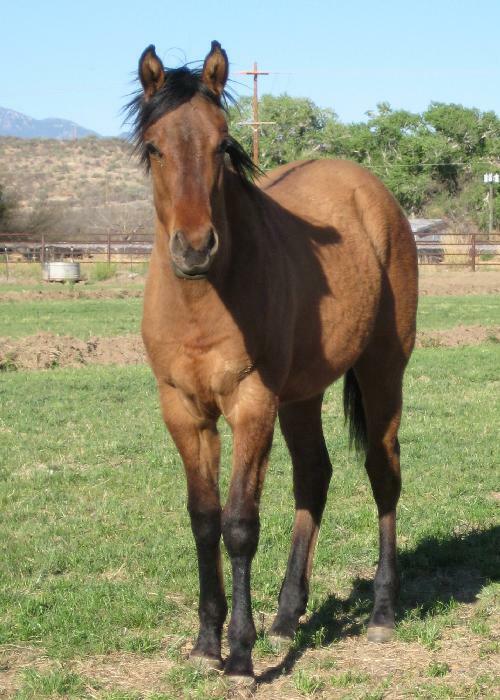 "My Special Destiny" She is a nice looking Mare. 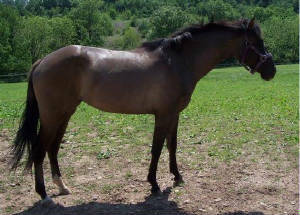 Above is "UNO" a Dun gelding as a 3 year old. Below is "UNO" as a 5 year old.